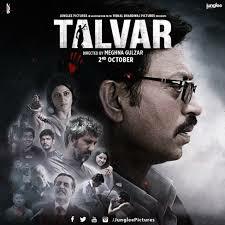 Talvar is a 2015 Bollywood murder mystery thriller film directed by Meghna Gulzar, which releases 2nd October. 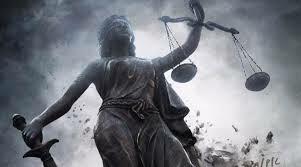 The film is based on the 2008 Noida double murder case, in which a teenage girl and her family servant were found murdered and how this movie gives 3 perspectives for the murders, This movie has some more unknown facts about the double murder case and that’s what makes it more interesting for us to watch.Talvar depicts how office politics, professional rivalries and media coverage can influence the course of justice. The film stars Irrfan Khan, Konkona Sen Sharma, Neeraj Kabi and Sohum Shah in leading roles and Tabu in a guest appearance. The film is produced by Junglee Pictures, the films division of The Times of India Group. 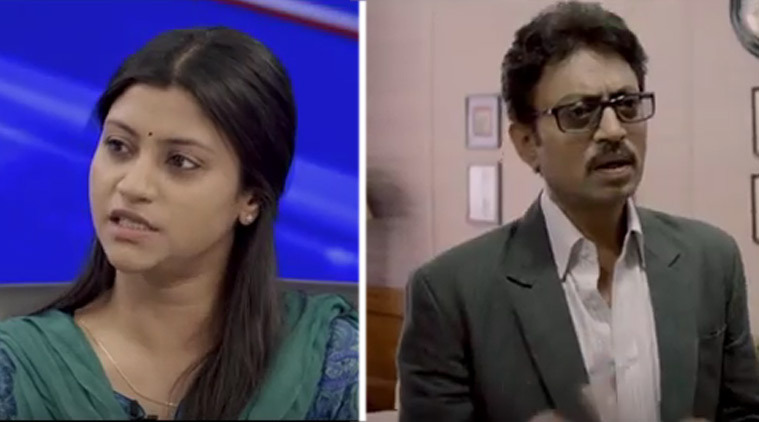 Irrfan Khan is always known for his versatile and natural acting, Konkona Sen Sharma and Neeraj Kabi play an amazing role. Each role cast seems perfect to me. The story line by Meghna Gulzar depicts a very mature treatment to a very sensitive subject. The Aarushi murder case had us baffled for years and many of us, still don’t know what exactly happened ! The film is based on a 2008 murder case in Noida, in which 14-year old Aarushi Talwar was found murdered at her home. The family’s missing 45-year old servant Hemraj was initially sought for the murder, until his dead body was discovered in another part of the building on the following day. The police first suspected Aarushi’s parents, Rajesh and Nupur, for the murders. The film’s premiere was at the 2015 Toronto International Film Festival in September, in English named as Guilty. 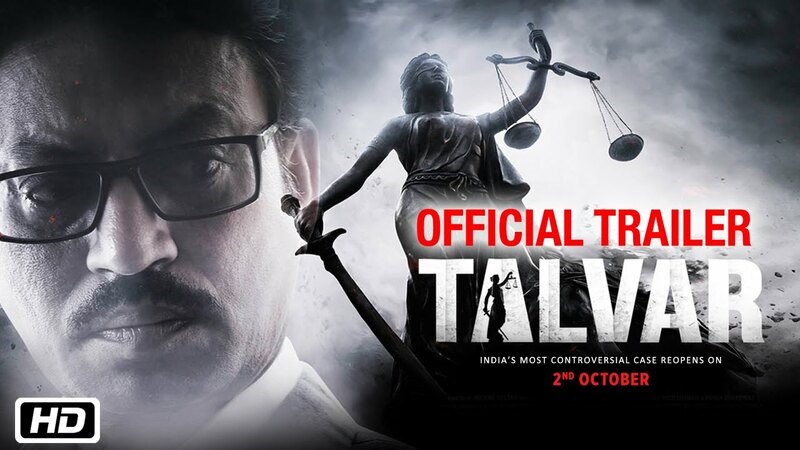 Talvar depicts how office politics, professional rivalries and media coverage can influence the course of justice. Please go and watch #TalvarThisFriday Movie releases on 2nd October, and this movie will help us know the different perspectives people think with. So do not miss this movie, not because this was a ‘sensational double murder case’ , but because truth is still unspoken and unknown…!